Manch.Me » Blog Archive » “Vitamin D” milk? Did you ever buy Whole milk because it says on the package that it has vitamin D? Some people may even call it Vitamin D milk. If you look closely at the food labels of the “vitamin D” milk comparing it with a food label of the 2%,1%, or 0% fat milks, you many notice that all contain the same amount of Vitamin D, which is about 25%. Well, many will argue that because there is no fat in the skim milk, you will not be able to absorb the vitamin D. This is also incorrect, because vitamin D is mainly bound to protein (which is the same in all types of milk). This is how vitamin D is transported in the blood, via vitamin D-binding proteins. This is simply a HYPE… a marketing strategy… this is why its so important to look at food labels, when deciding what to buy in the grocery store. If you enjoy drinking whole milk, that’s great! 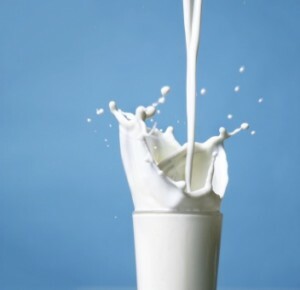 If you are trying to cut down on fat, or calories, you may want to switch to a lower fat, or fat free milk. The important point here is that you do not have to compromise your nutritional intake of vitamin D, as well as most of the other nutrients, and proteins. Hey, this reminds me of several conversations that we had about the “Vitamin D in Milk” hype. Good post, I hope more people will get educated about it and lose their misconception about Vitamin D Milk, while making a more educated decision when shopping for milk!